Canon City Lanes was built in 1960 and has been a landmark entertainment location in Canon City since it was established. 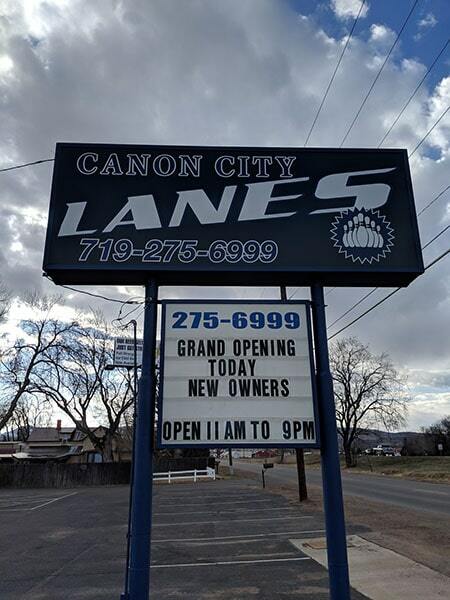 We re-opened Canon City Lanes in December, 2018 and are celebrating our Grand Opening as the new owners on March 18, 2019. We strive to provide out guests an experience they will remember. This is accomplished by our hard working staff who thrive to give every customer a delightful time at Canon City Lanes.